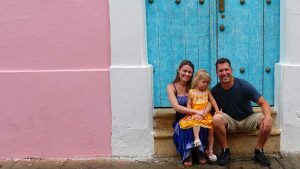 Before Avery was born we knew that traveling would be a significant part of her life. So we decided to start a new family tradition built around this fact. Six months later, Avery had her second set of professional photos taken. (We’re first time parents, so this kid’s life is very well-documented in pictures). We kept with the travel theme, and once again had her picture taken in a suitcase. Except this time, we were dealing a very cranky baby who missed her nap, did not want to cooperate, and refused to smile. I think the pictures still turned out cute, although she didn’t seem to appreciate the tutu and pearls. This family tradition will continue throughout Avery’s life. 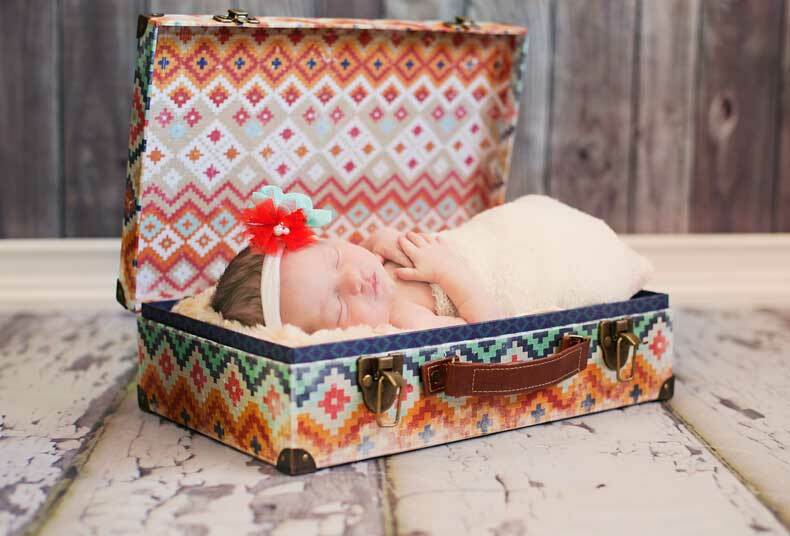 At least once a year we will have photos taken of our daughter in (or sitting on, or simply with) a suitcase to symbolize this very important part of our lives. What are some of your family traditions? And how did you start them? Photography is a great way to turn your passion, be it travel or something else, into lifelong memories. Children grow up so fast, so take a lot of pictures, and from time to time invest the money and let a professional do the job. Thanks! 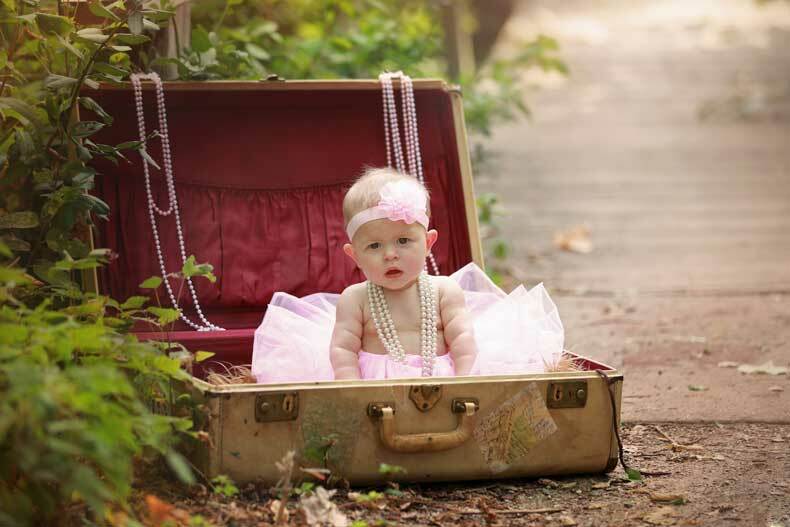 That vintage suitcase of yours will likely come in very useful with a career in photography. Props are a must, so keep up those impulsive purchases.